at St. Louis Zoo June, 2010. I’m not sure how to start this blog post. How many times can I return after a hiatus and still call myself a blogger? But there are a few faithful friends who continue to encourage me to write in this space, and I am grateful for their support. So here I am again, embarking on a new blogging adventure at the outset of summer break after the end of a personally challenging year. A few weeks ago I was counseled to try Expressive Writing as a way of dealing with all the internal turmoil of life. As a rule follower and one who strives to please, I consented. I opened an account with Penzu, an online journal that I simply cannot recommend highly enough, and I began to reconnect with my feelings. Once I started writing it was as if the floodgates were opened and the tsunami began. I have written well over 75,000 words in these two short months, and I am not nearly finished. And it occurred to me that perhaps…. just perhaps… I am a writer. And perhaps… just perhaps… I have long harbored a dream of becoming a published writer and it is a dream worth pursuing. But this is quite scary to voice aloud on the world wide web for all to read… and yet, quite exciting as well. It is as though I am standing at the edge of the canyon ready to take that jump. Do I trust the bungee cord to keep me from falling flat on my face? Or do I settle for the safe existence that is void of life’s adventures? I believe I have lived in the cocoon for far too long. Yes, it is secure; yes, its walls protect me (somewhat) from pain. But is that really living? 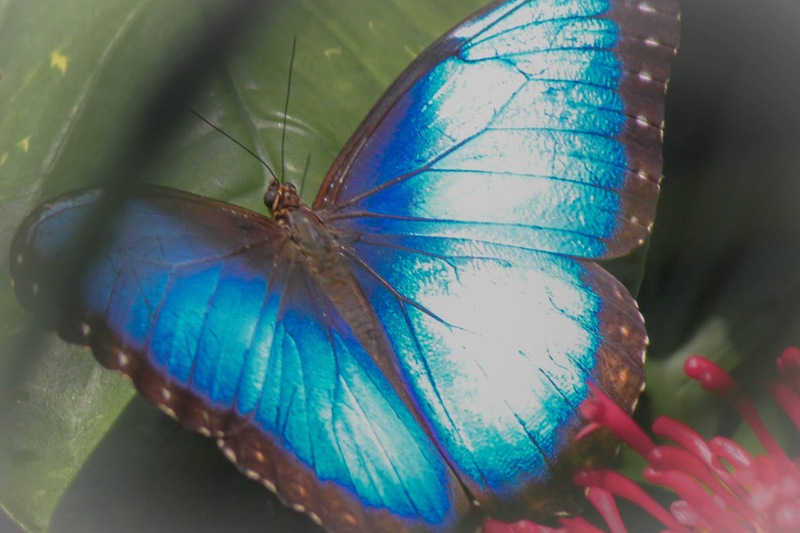 Wouldn’t it be far grander to experience the freedom of the butterfly? A little risky – a little scary – a bit dangerous, but quite liberating. I am still in the pupa stage of this process… a mess of ugly goo. But I am transforming, slowly. And I recognize that there will be discomfort as I begin to emerge from this protective fortress I have built, but I know that pain is essential… and yet temporary. And I am learning that one vital secret to life is to learn to Live in the Moment… don’t constantly relive the regrets of the past or worry about the uncertainty of the future. We just have now, and there is beauty all around if we just slow down enough to notice. So this summer I plan to cultivate the practice of Living in the Moment. I hope to do that through daily writing, as well as through photography. I have registered for two weekend writing courses at the University of Iowa this summer, one is Travel Writing at the end of June and the other is Spiritual Journaling at the end of July. This is my version of dipping my toe in the water to discern if a writer’s life is my true calling. 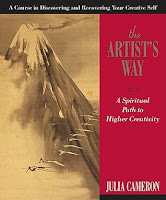 And as I was developing a summer schedule (which I hope to begin tomorrow)… I was reminded of this book, The Artist’s Way, which I read several years ago. And I thought it might be a good time to not only re-read the book, but actually follow the twelve week program. And while you may not be surprised, I was shocked to discover that there are exactly twelve full weeks between now and the time I must return to school. This seems more than coincidental to me; in fact I would say…. it is meant to be! I also think this will pair nicely with Susannah Conway’s online course, Journal Your Life, which will begin June 10 and run for six weeks. I have taken two other courses with this talented instructor, and I look forward to gaining new insights into the journal writing discipline. Another aspect of learning to Live in the Moment, I believe, is learning to take care of me… not just emotionally and intellectually (as the above endeavors will allow), but also spiritually and physically. I so enjoyed the daily devotionals of Rick Warren and Joyce Meyer last year, that I decided to repeat them again. I have consistently read, journaled, and prayed every day for the past thirty days and I can honestly say that I feel connected to God in a closer way now than I have for quite some time. It is a long process to learn to let go of control and allow God to take the reigns. And for me, it is an even longer process to fully understand that I serve a loving God rather than a divine accountant in the sky (all those “thou shalt nots…”) But it is a process, a daily process, and one that is essential to teaching me how to enjoy the present. I also began a modest exercise regime a month ago and I hope to continue this activity for the rest of my life. The goal is simply to walk briskly thirty minutes a day, five days a week. So far my brisk walk equates to about 2.25 miles in that time frame, but I would like to increase it over time. If my writing passion continues, I think I will also incorporate ten minutes of non-sedentary activity for every fifty minutes I write. My goal is not to “buff up” or even lose weight… just to be fit in order to enjoy life to its fullest. In addition, I want to start eating locally – taking advantage of the colorful fruits and vegetables of the farmer’s market as much as I can. I hope to start cooking more at home, experimenting in the kitchen again — like I used to when we lived in New York City ever so many decades ago. I miss that creative process. 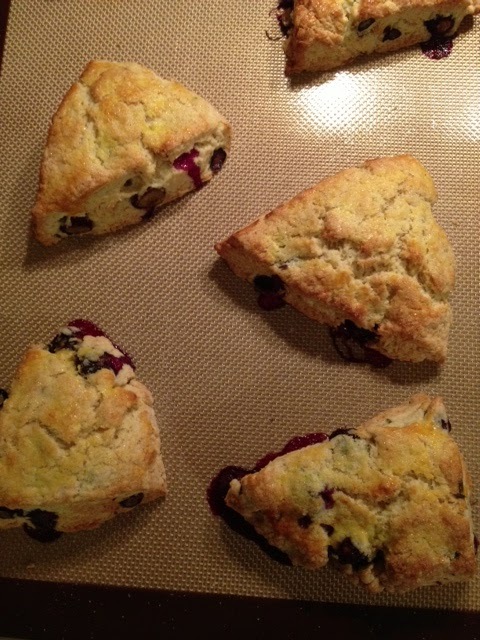 And so to take advantage of the new resolve, I chose to make scones for the first time this morning: Lavender Blueberry …. and I thoroughly loved the imperfect experiment! The dough was a bit dry, my technique uncertain, and the flavor a bit bland, BUT… I enjoyed the repetitive process of incorporating the cold butter into the flour mixture, I focused on the feel of the dough as I tried to knead it into a cohesive whole, and I was pleasantly surprised at the light, flaky texture of the finished product. Learning to make scones – and brewing a fresh pot of tea – are also on the bucket list this summer, and I shall dream of taking high tea in my Oxford flat as I sit and write my manuscript. Your summer sounds like it will be filled with gaining insights about yourself, the world, and others–and what could be better than that? Writing (and the things you think about as you write, and the things that become apparent to you) is such a journey. There's no such thing as failure, so banish that word from your vocabulary. Yes, if you're writing for fame and fortune, you might be disappointed. But if you're writing because of inner need, and self-exploration, there is no disappointment, ever. I'm amazed at the number of words you wrote over the past couple of months. Holy cow. Thank you for sharing your journey with us. It always makes me think about my own life. I love the idea of consciously living life in the moment.